The glory of Citrus season is upon us and nothing can brighten a dish like a squeeze of fresh lemon, lime or orange juice. Zest, with the powerful essential oils, does its duty in sweet and savory dishes. When zesting with a plane zester, use a light hand: the white pith just under the colorful skin tends to be bitter, although highly nutritious with bioflavonoids. Here are 7 of the best, most awesome citrus recipes. 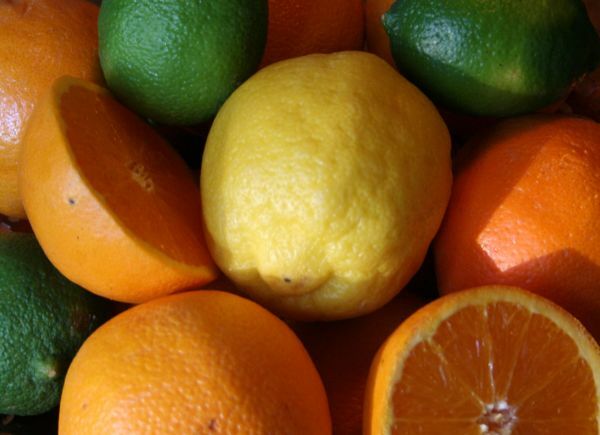 Enjoy the bounty of the citrus crop! Traditional Margaritas are made with fresh juice, agave tequila liquor and salt. Period. Citrus is a major player in so many cocktails it is hard to pick just one. Lime and orange go great in a Margarita! Try this awesomely refreshing margarita. The best margarita in the world…in my opinion. This salty-sour Phrik Nam dipping sauce is perfect for fresh spring rolls or for marinating chicken, shrimp or scallops! This bright cilantro pesto is great on fish, chicken or pork chops. Try it stirred into butter or mixed with hot roasted vegetables or hot gluten-free pasta. Just a hint of lime and the subtle heat of horseradish gives these smoked salmon parcels filled with a dilly cream cheese center their wow factor. Smoked salmon parcels with dilly cream cheese filling. Lime juice and cashews create an incredibly simple and delicious dressing for ribbons of fresh carrot tossed with cilantro. So easy and incredibly flavorful. A simple and elegant carrot ribbon salad. Shrimp Scampi would be sad without a squeeze of lemon juice! A bit of butter, perhaps some garlic….yes! Straight up juice. 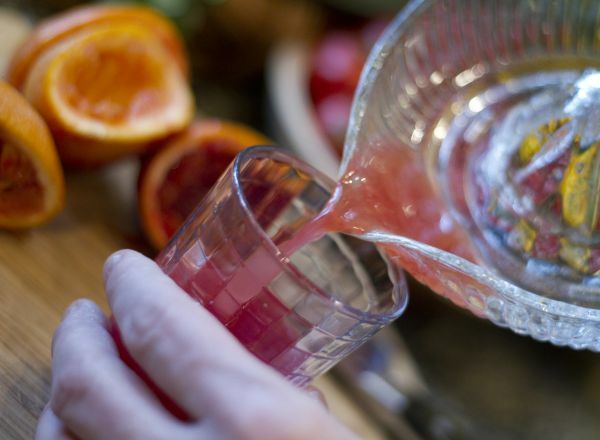 Nothing beats the brightness of freshly squeezed juice. My favorite is blood orange….so very Dexter! Black rice, traditionally eaten only by the emperor, is the start of something great. Mandarin orange, red onion, cilantro and peanuts in a citrus dressing. WOW! If you like flavor, this simple salad is for you.